I’ve only made a few printables on my blog, and it has been a long time since I made one! 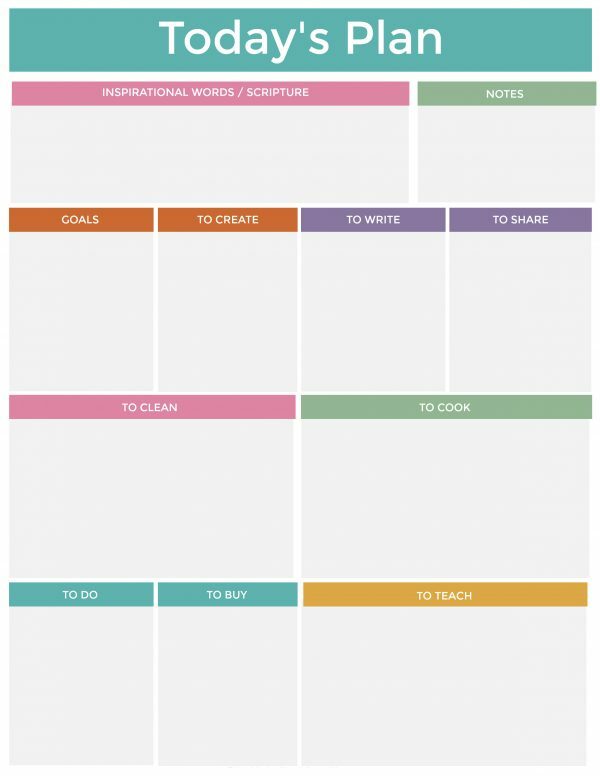 I saw a lot of daily planning sheets and bullet journal pages on Pinterest, but I couldn’t find one that had everything I was looking for in a planning page. 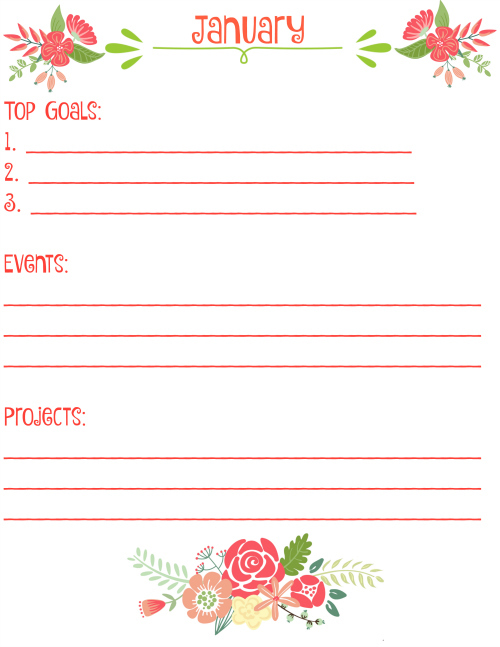 I need a planning sheet where I can write daily goals, but in particular I wanted a page where I could write down plans for my blog and online work. And I also wanted one where I could write plans and goals for myself as a housewife and mom. Since I couldn’t find exactly what I was looking for, I made THIS! At the top of the page, I made a spot for inspirational words and scripture. Beside this is a notes section. The next section I will be devoting to business, but the categories could easily fit for personal use: Goals, To Create, To Write, To Share. Then I have a section titled To Clean and To Cook. Finally I have a sections marked To Do and To Buy. And finally I have a section marked To Teach. I made this section so I could make notes of things I’ll be teaching my son, but it could be used if you’re teaching an actual class or if you teach things on your blog. In the past, I’ve always enjoyed this time of year for blogging. It is a great time to look back at the past year and talk about goals and projects for the coming year. Since the baby was born, my blogging hasn’t been very consistent, so as I consider my plans for next year, I’ve been coming up with ideas to get more things done and to get my blog back on track with a regular posting schedule, and I’ve been coming up with ways to make get focused in all areas of my life, including my businesses online. A couple of years ago, I created this year in focus printables set for 2017, and this year I decided to revamp the files for 2019. The set includes a “year in focus” page, where you can write your Word for 2019 and all of your top goals for the year. Additionally there is a page for each month where you can list top goals, events, and projects. There’s also some additional note pages in the set. 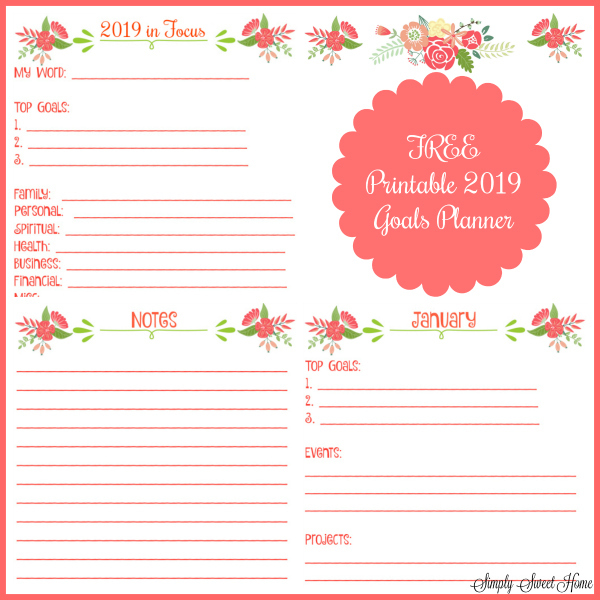 Download your Free 2019 Goals Planner. One thing I try to do as we approach a new year is to share is some printables and calendars, so next week you can look forward to seeing a round up of blog planners, post planners, calendars and 2017 printables, but for today’s I have a special 2017 Year in Focus Printable set for you. I made the printable set for you myself, using graphics from GraphicStock. They are THE destination for online graphics with over 250,000 photos, illustrations, and vectors. You can find everything you need to create fun printables, graphic design for your website, and so much more! One of my goals for this year has been to change how I clean house. There have been times in the past, where I’ve walked around my house and literally felt sick, looking around at the mess and all the work that had to be done. Sometimes things were in a mess, because I’d been too busy with blog and shop work to clean; other times things were in a mess, because I’d been taking on extra big projects around the house (things like decluttering, garage sales, and DIY projects), and still other times things would be in a mess from a lack of cleaning due to migraine or other illnesses. Disclosure: I am a brand ambassador for Mean Green, and have received free products and compensation for this post. The opinions are my own. Over the last couple of week’s we’ve been discussing spring cleaning. This is a time when we go above and beyond our usual chores and take the time to make our home our castle! Today I’m specifically going to focus on how to simplify your spring cleaning. One key to simplifying is to make sure that you maintain a clean home everyday. 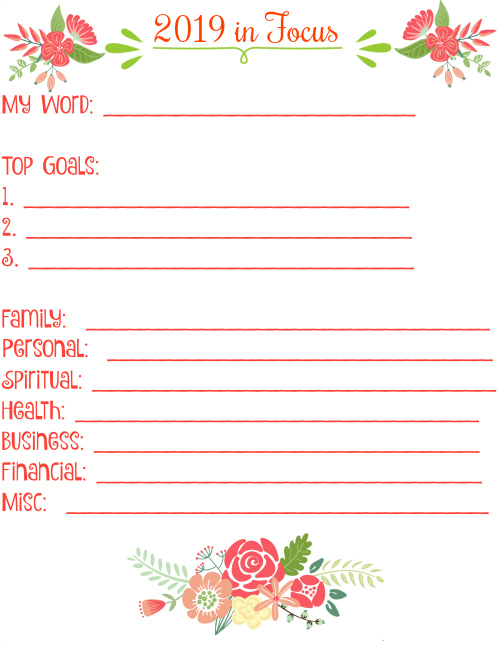 To help you do this, I have a free printable checklist for you. Then I’ll have some product recommendations and tips to help you get your spring cleaning chores done. March is here, and Easter is just around the corner! (It’s March 27 this year!) It’s time to gather up your favorite Easter goodies and create some fun Easter Baskets! Of course, the Easter Bunny has the kids covered, but what about the adults? Are there any special adults in your life that would get a little joy out of an Easter basket this year? Perhaps a neighbor, a grandmother, or a teacher? As someone who always “loved school” and “loved learning” I’ve always had a huge appreciation for teachers. In fact, when I was kid I either wanted to be a writer or a teacher, and if I wasn’t working from home, I’d likely be teaching English or history. That being said, I generally love the profession, and I appreciate everything that the teachers in our local schools do.